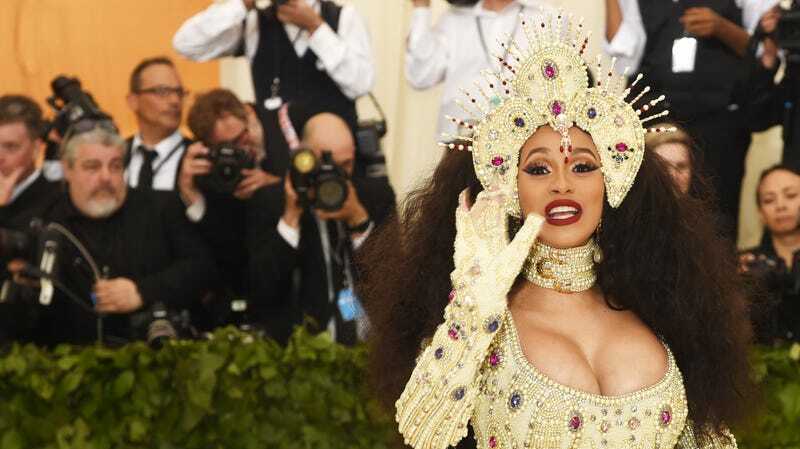 Like so many of us moms, Cardi B has had to make some slight modifications to her personal style. I had to start buying longer skirts, so I could squat to buckle a stroller without flashing my neighbors; Cardi has switched over to square nails. But she may return to one pointy nail, for optimal baby nose cleaning. Look—baby noses are very small, and they get stopped up very easily and they don’t know how to blow them, and sometimes the Nose Frida just doesn’t get the job done, and you feel like you’re going to implode your brains trying to suction boogers out of your child’s nose, and the whole thing is very frustrating on little-to-no sleep, and the first rule of parenting is: Whatever works!